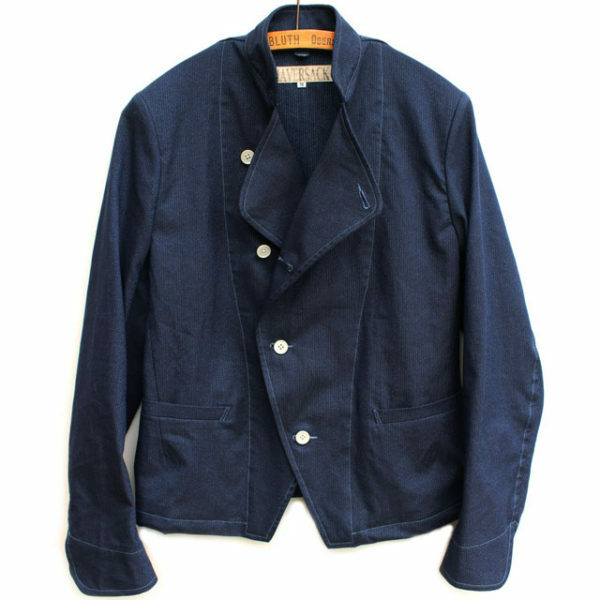 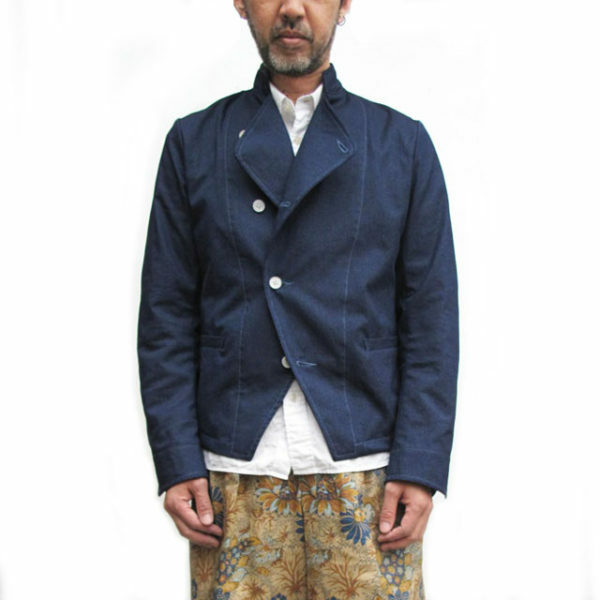 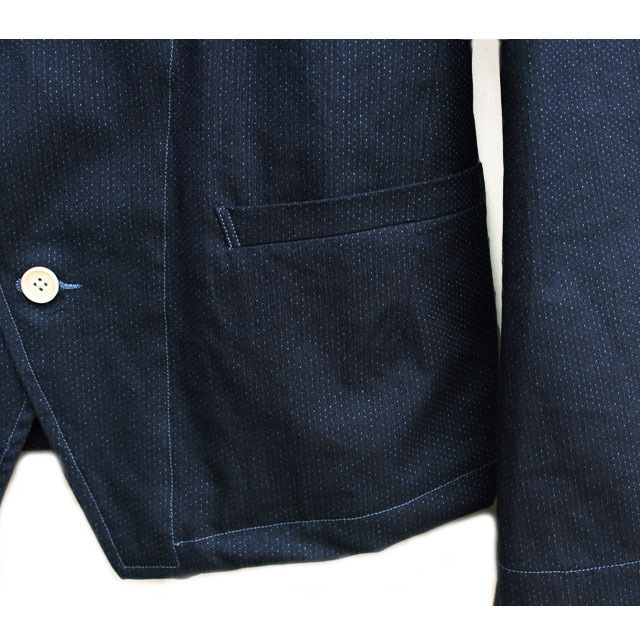 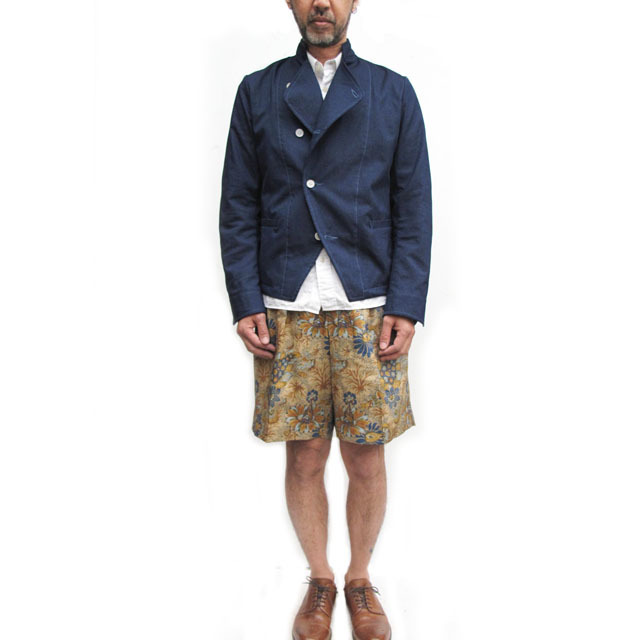 Haversack indigo stitch jacket. Based on early 20th centry European jacket. 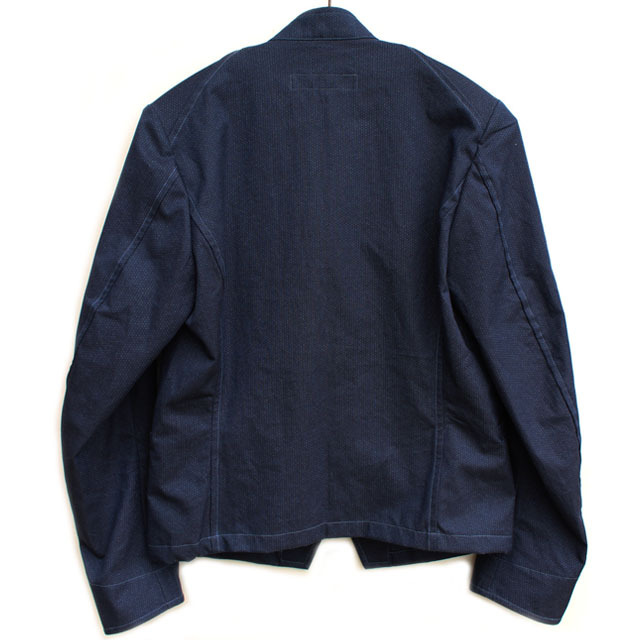 Made from light weight indigo dyed cotton. 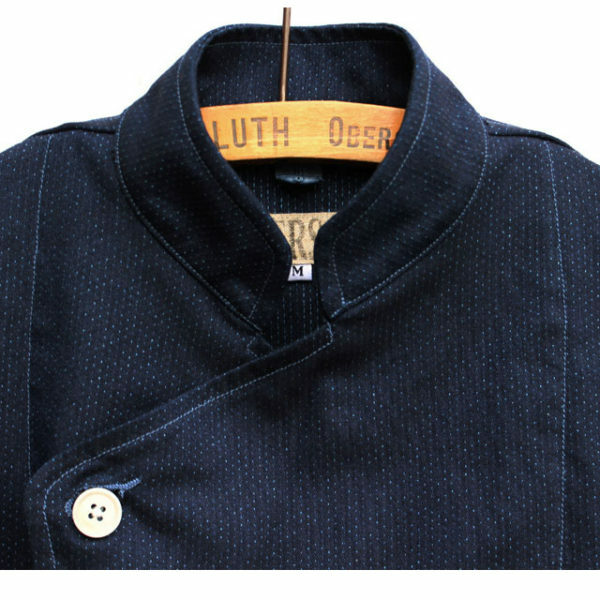 Beautiful deep indigo colour contrasting with white buttons and indigo stitching. 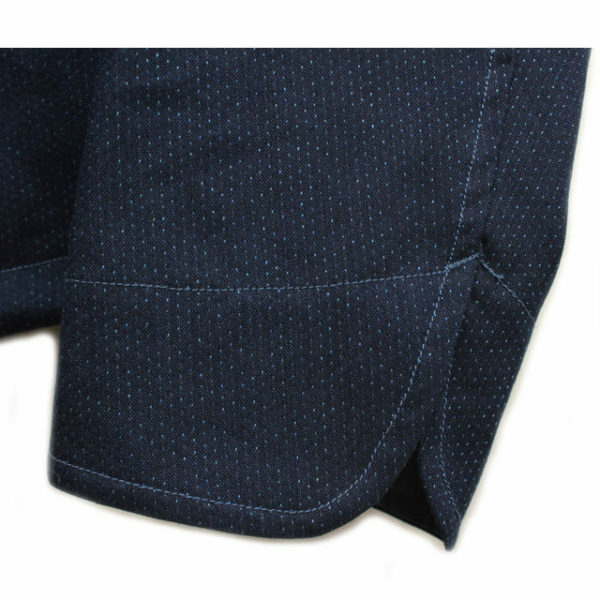 The top buttons also can be done up. 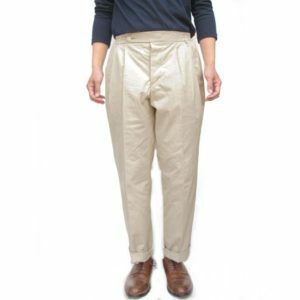 The jacket is a slim fit and have two pockets. 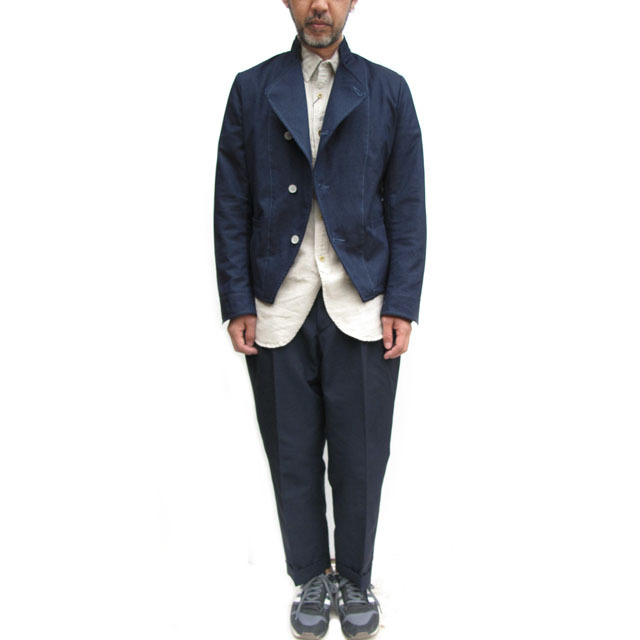 *Please choose ONE SIZE UP as all our Haversack items are in Japanese size.